As the Alberta government doubles down on solar power alternatives through policy and rebates, some wonder if geothermal will also receive the same kind of attention. 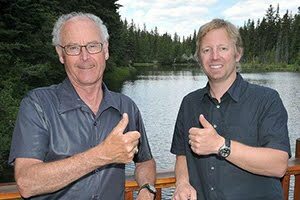 Frank Kernick, developer of Canmore’s multi-million-dollar Spring Creek hopes the provincial government will help offset geothermal installation costs through a rebate program, similar to the Residential and Commercial Solar Program. 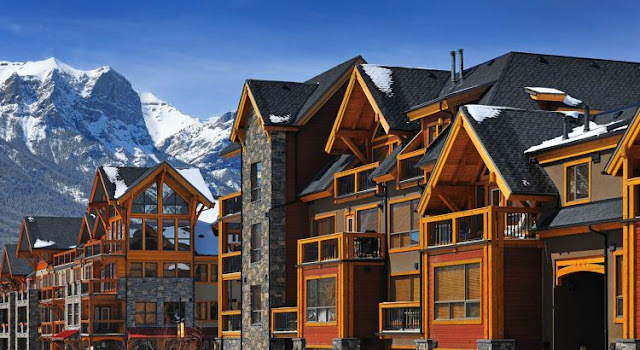 Just a short walk from downtown Canmore, Spring Creek is a blend of condominium homes, villas, estate homes, an active-living seniors’ residence and a luxury mountain lodge with vacation suites. It’s being developed at the junction of Spring Creek and Policeman’s Creek on land that has been in the Kernick family for three generations. Spring Creek has implemented geothermal heating and cooling technology in its two newest additions to the successful community — the Creekstone Mountain Lodge condominium and the $37-million Malcolm Hotel and Conference Centre. “The introduction of geothermal systems into these two projects will add to the estimated 450 tonnes of greenhouse gas emissions that are already being eliminated, and will bring the new total to 600 tonnes annually,” said Kernick. The decision to bring geothermal technology to the Spring Creek development was made before Premier Rachel Notley’s NDP government introduced its carbon tax., he adds. Last May, Alberta’s Environment and Parks Minister Shannon Phillips introduced Bill 20: the Climate Leadership Implementation Act, which implemented a carbon levy on Albertans and Alberta businesses. Phillips said that under the act, revenues generated through the carbon levy could only be used for: initiatives related to reducing greenhouse gas emissions; supporting Alberta’s ability to adapt to climate change; and providing rebates or adjustments related to the carbon levy to consumers, businesses and communities. “Spring Creek homeowners will save approximately $4,000 in carbon taxation in 2017 for these two buildings, while eliminating 150 tonnes of greenhouse gases,” said Kernick. Geothermal heating and cooling works by using heat pumps to move heat into and out of the earth, by circulating fluid through a ground loop. The reservoir of stored and available heat energy is created from the thermal energy from the sun acting on the earth, adds John Managh of Hellbent Geothermal, which installed the system. Both Creekstone Mountain Lodge – which will have 56 condominium residences over four storeys – and the Malcolm Hotel and Conference Centre – with 124 rooms and 6,500 square feet of meeting and banquet space – are expected to be complete in the first quarter of 2018. “Because of the strong aquifer in Canmore, ground-source cooling for air conditioning will be much cheaper to run as the temperatures of ground water can be used to cool the building. No other energy needs to be used – making it a good, green energy,” said Terry Burch, construction vice-president for Spring Creek. Working to protect the environment by reducing the financial and health impacts of emissions, Spring Creek has focused on green building technology. In fact, one of the development’s initial condo buildings was the first apartment in Canmore to be certified as Built Green. At buildout, it is estimated by there will be as many as 2,500 residences at Spring Creek. The project kicked off in 2006 and is now into its fifth phase of development.